including changing a flat tire on a snowy road shoulder, to hear my draft board take minimal time to decide I would be drafted if I didn’t get into an Officer program. My father and I (B-52 Command & Instructor Pilot, retired full Colonel) judged this war a politically controlled, tragic lost cause. Left the draft board building trying to remember where I had parked in downtown Spokane, WA and very much wondering what was next? Both the Air Force and Navy Officer Candidate programs had informed me they were full. I knew things were getting very serious! After the draft board’s “influence” I have to credit God’s provision – although I didn’t recognize it at the time. Looking for my car on a side street I notice a Coast Guard recruiting office sign up ahead. Months before my dad had suggested the Coast Guard but, typical young person, I had forgot about it. Inside I found one man, a Chief Petty Officer still at work. Friendly, he called Seattle for the results of my Navy Officer candidate test. Obtained them by phone and then informed me he could work with me. I was relieved! Surviving O.C.S., my choice of preferred duty station was decided by a women, not so unusual for young guys. 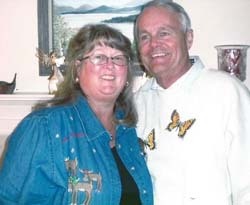 She soon became my wife (45 years so far.) I requested anything out of Seattle and, good duty as I reflect on it, got the Seattle based icebreaker Staten Island, WAGB-268, as a deck officer. I was the only junior officer on the bridge not a Coast Guard Academy grad and with an Boatswain’s Mate Mustang, O-6, Commanding Officer , E.F. Walsh, that made no bones about “eating Ensigns and J.G.’s for breakfast.” Joined the ship in Kodiak, AK standing at the brow as a crew member’s body was carried off. The story of his loss, later told me by the Academy Officer, John Vitt, involved who saved another crew member, reflected badly on the C.O. I finished my qualification book quickly while standing open ocean bridge watches then in the ice as Trainee under a qualified Officer of the Deck. Many, many times I endured a chewing out by the Old Man, sometimes in front of the enlisted men. Even though I was no baby, raised in a military family and worked as a farm laborer summers starting at 15, I found his tirades very hard to take. He was not liked. It was said he wouldn’t go out on the weather decks at night underway. This was a time of drugs on military ships. Bad officers were being fragged in Vietnam. In the arctic for one 3 month and one 5 month patrol (no liberty in arctic Alaska) with this C.O. on a worn, WW II era ship was hell. This Captain plus the few dumb and somewhat sadistic ‘lifer” Petty Officers – among the many good Petty Officers – I encountered confirmed no way was I making this a career. I must say that the three O-6 C.O.’s after that (Capt. Putzke, Capt. McCormick, Capt. Gershowitz) were all very good bosses. But the die was cast. 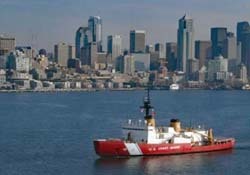 As a Ltjg, I next went to the Seattle Captain of the Port office, Pier 91 as an Admin Officer, Search and Rescue duty officer [all of Puget Sound] and Oil Spill Response Officer. Worked in the same room as the XO, Lt. Commander Purdy, great guy. Capt. McCormick and Capt. Gershowitz treated me well. Surprise, Capt. Gershowitz even asked me if I’d stay in. Having been a college student trainee, I had a job waiting with the U.S. Fish and Wildlife Service in wildlife refuge management. So I requested and received a 6 month early out. My wife and I happily departed Seattle for rural Oregon, September 1971. I remember several more significant events. 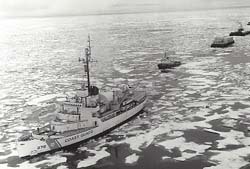 One was as we nearly completed my second arctic patrol we diverted to Nome, AK to receive spare parts and food supplies flown in so we could relieve our sister ship, USCGC Northwind, which had engine troubles. We were extended for two more months, five months total, escorting the experimental ice breaker oil tanker, SS Manhatten, from Pt. Barrow across the top eastward through the Northwest Passage and south to Halifax, Nova Scotia. Manhatten was an experiment to see if Prudoe Bay oil could be moved by oil tanker rather than building the oil pipeline across Alaska. We joined one more modern and one nearly new Canadian icebreakers, the John A. McDonald and the Louis Saint Luran. They broke ice much better than we. One time Capt. Walsh authorized me to radio the St. Luran to free us from being stuck. A beautiful ship, she promptly drove through the solid ice to cut ahead of us making a path for us to follow. We made New York in mid November having learned the ice breaker tanker idea was a failure. Liberty there, San Juan Puerto Rico and Acapulo made up for short rations and many long months at sea. Ran the Panama Canal at night so not much to see. Learned our fresh water evaporators didn’t function well with warm seawater so we were stuck with sea water showers, bad news in that hot climate. We were told the Staten Island was the seventh surface ship to circumnavigate North America. As photography officer I received, and still have, a copy of nearly all pictures our photographer, Petty Officer Meeks took. He was a great guy. At Captain of the Port I was ordered to travel to one of our 82 foot patrol boats, CGC Pt. Doran as I remember, to investigate it hitting and releasing too many crabs from a commercial holding cage. Pt. Doran’s C.O., a Chief, was nervous explaining the situation to me, a young JG. Having served as a Deck Officer, I understood his worries and the operational particulars. I subsequently wrote a report absolving him of any negligence. XO Purdy told me Capt. McCormick was very strict on written reports. He and I were relieved when the C.O. signed off on my findings without ordering any changes. I was happy to have done all I could to protect the Chief’s career. Also at Captain of the Port, I was ordered west to Port Angeles, WA to board the 82 footer there to shadow a Communist Block ship’s passage to Seattle. Run by a Chief Petty Officer, I became the Senior Officer aboard for the trip. It was made necessary by a recent very high level political flap on the Atlantic Coast. A Seamen on a Communist ship had jumped over the side to the deck of a Coast Guard boat to get asylum. The Communists demanded him back. The Junior Officer commanding the boat radioed for direction but, as I was told about it, received none before finally deciding to force the man back. I was given clear orders that we would not do that without clear direction should a Seamen try it in Puget Sound. The run went smoothly; Chief ran his boat and no one tried to defect. On the military side, in the arctic we gathered information across the top including north of Russia. I was in the wardroom one morning when word came down that a radar contact was coming in very fast. I ran outside in time to see a Mig blast straight in and over us low and very fast. We had seen a few Russian ice patrol prop planes drone over but that Mig zooming overhead really made an impression on me in those Cold War times. My favorite assignment was serving as the Captain of the Port X.O.’s (Lt. Cdr. Purdy) Administrative Officer. My desk was immediately behind the X.O.’s desk. Formal in front of others, he and I talked informally most days. He often leaned back in his chair to hand me paperwork, like the Federal Register, to read and discuss. He assigned many unusual jobs such as leading our safety supervision of dynamite loading at Dupont, WA, serving on a court marshal board at District 13 headquarters, the previously mentioned accident investigation and defector run as well as several others. My least favorite was the first arctic patrol, three months, just trying to survive at sea learning many things my peers, academy junior officers, already knew before coming aboard – while being seasick upon entering open water from the ice or land. This under the often haranguing of a miserable, mean, bully of a Captain, as above. It was hell. Also “least favorite” was going to sea the first time rolling along in the Gulf of Alaska out of Kodiak, AK being both sea sick and hung over. Not good! I have already described lots of this. Capt. Walsh sure impacted me greatly. He was the first evil boss I had to work for at close quarters. He forced me to endure. Another thing that impacted me was having to do things I did not fully know how to do. In college I did things after being taught how to do them. The Coast Guard represented the real world where you often must begin doing things before you really know all about how to do them. Couple of examples: I was assigned as a Search and Rescue Duty Officer involving 24 hour watches for all of Puget Sound, WA. It involved commanding, outside normal working hours, several 40 foot patrol boats at Pier 91 and three 82 foot patrol boats stationed around Puget Sound. First time I assumed the watch after hours I was somewhat flustered about the responsibilities. But it all worked out as the men running the radio watch and the patrol boats knew what they were doing. Another vivid example occurred in the arctic when I was assigned to be the Boat Officer in charge of a landing craft to do something I forget what. I had never been in one of these boats let alone driving it in the ocean. Before departing, the Operations Officer, Lt. Haines, took me aside to warn that Capt. Walsh would be watching and whatever I did do not ram the side of the ship as I came alongside. I said I sure would be careful. I am sure many others were seeing what I could do. Since I had run a family water ski boat for many years, I had some idea what to do. Ended up carefully approaching the ship and laying alongside with only the slightest, gentle bump. Since it was a smooth job no one had any comments. Last of the 60’s and early 70’s was not a good time to be a young person in the military. Off the ship in Seattle we shed uniforms as fast as we could. I endured too much bad treatment in O.C.S., from my first C.O. and bullying academy Junior Officers. Off duty drinking at a party I once faced one of them down who was very angry and in my face holding my shirt front. I dared him to take the first punch before I knocked the stuffing out of him. He looked at me and then walked away. All of this abuse added to being forced to give up civilian life and my masters degree. I walked away with nothing: no recognition, no award and no party. Only one small positive event was my C.O. earlier asking me to re-up. I refrained from laughing at him; he was a good guy. I am most proud of surviving! A wildlife biologist prone to sea sickness on the bridge conning the ship in the open ocean and in the ice. Guess I am proud of qualifying without delay as a Ice OOD – Office of the Deck. 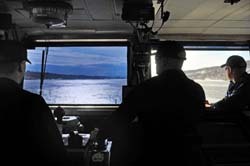 And being made Ship’s Navigator for my third arctic patrol – even as my Quartermaster Chief Petty Officer took care of things for me; good guy. After all these years, I am proud – since I had to serve – to have made the grade in the U.S. Coast Guard. Best outfit going. It confirmed to me years later that I had “made the grade” when I was promoted to an 0-3, Lt., billet in the Inactive Reserve even without having a unit in which to drill. More and more I can remember the good guys rather than the bad. I guess I covered this pretty well previously. No badges or other recognition. What I will highlight are the good guys. And I sure mean the Enlisted men as well as the Officers. Lots of good guys! I remember a number of good guys. But I don’t remember anyone who made a significant positive impact on me. I suppose that was because I’d already graduated college and begun a career with the U.S. Fish and Wildlife Service when the draft board forced me into the military. Do my time and get back to my life’s work was my attitude. A good guy I haven’t yet mentioned was Yeoman First Class J. J. Begert. Very capable, friendly guy always joshing, starting false rumors and running around. Very important after months cooped up looking out at snow and ice. One night about 2 a.m., I was the Junior OOD in mixed open water and ice conning the ship zig zagging around big chunks of ice at slow speed trying to stay close to the intended course. The OOD was inside the bridge. I drove from outside at an exposed bridge wing. I rounded a turn intending to hit and break off a small neck of ice extending from a large chunk. Hit it fine but it did not break off! Even at slow speed the ship slid up on the ice coming to a shuddering stop healing sharply to starboard. As we slide off backwards the OOD came running out to see what I had done. He, and I, were worried that I had awakened the C.O. and we’d get a fanny chewing. Lucked out, must have been sound asleep. Rest of the watch was uneventful. Next night Yeoman Begert requested permission to come on the Bridge. I approved and turned to see him coming up the ladder wearing a life jacket and a big grin. Laughingly I asked him just what he was doing? He said he’d come up to see because the crew wanted to know if I was driving again? Did they need life jackets? Or to hook up their “seat belts” in their bunks? Begert happily informed me that I had rolled more than a few of them out of their bunks last night. Ha, ha, ha. I told him to get off the Bridge as I, and others, laughed. 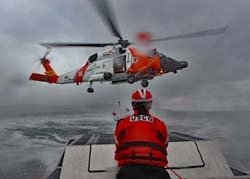 While in the Coast Guard, the U.S. Fish and Wildlife Service was required by law to hold my job and award me the salary step increases I would have earned when I returned. I was happy they met that commitment. From Seattle my wife and I U-Hauled to the “paradise” of rural south central Oregon on the dry [east] side of the Cascade Mountains to Klamath Falls, Oregon. 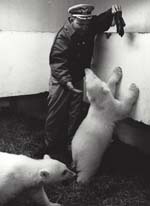 I joined the Klamath Basin National Wildlife Refuges as a Junior Assistant Manager, GS-7, Sept. 1971. Back then transfers were required for promotions. I served on wildlife refuges in Oregon, California, Nevada, Idaho, Illinois and, finally, settled into 21 years as a refuge and wetlands manager in North Dakota. We raised our three kids there. After many years managing fee owned and conservation easement lands in North Dakota, I started asking for details to other jobs. I served details in our Denver Regional Office, in Main Interior in downtown Washington D.C. and the US Bureau of Reclamation in Loveland, Colorado. 1993 I was sent to Guam as the first on island refuge representative during the process of establishing the Guam National Wildlife Refuge on former secret Navy land at Ratidian Point within Anderson Air Force Base. I enjoyed three more assignments to the Guam Refuge as acting refuge manager in the 1990s. Made some life friends on Guam to this day. 2001 I enjoyed another interesting detail as acting refuge manager to the Midway Atoll National Wildlife Refuge. I can report the “Gooney Birds” (Laysan albatross) and many other bird species are doing very well. Exterminating rats was a big help and removing lead paint [chips poisoning birds] has and will help a great deal. 2001 I was to be reassigned to a staff job in the Denver Regional Office. With 3 years Coast Guard and 32 1/2 with Fish and Wildlife, I bailed out at age 54 1/2 as a refuge and wetland management district complex manager, GS-14. Retirement has been great. I have enjoyed two volunteer trips back to the Guam Refuge and one back to Midway Atoll Refuge. Lots of backpacking and rafting trips, including down the Grand Canyon, and beach camping on the Big Island, Hawaii. To fill time, I gave substitute school teaching a shot and found I love it. [Oregon allows folks with any college degree to get a special, limited teaching license if sponsored by a school district.] I’m in my 15 year as a Klamath Falls Public Schools substitute teacher. I’ve done everything from high school honors chemistry [only once!] to early childhood education, 3-5 year old kids. I’ve come to be often used in special education elementary classes – enjoy that the most. But I do all other elementary level class. Decided to not endure the stress of trying to help older students. I am busy with my church and various local and national conservation efforts. National Audubon Society flew me to D.C. twice to join others lobbying Congress folks. 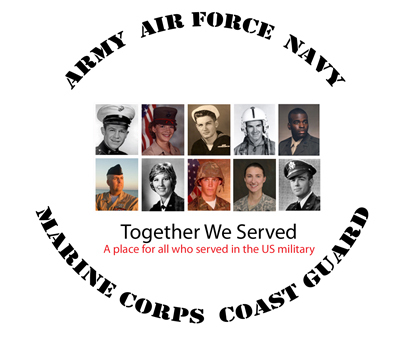 Together We Serve is the only Coast Guard group I’ve encountered. I enjoy reading folks’ reflections and scanning the other military stories. TWS has, so far, facilitated one contact with a shipmate – which I much appreciate. My dad was a career bomber pilot (flew in the Berlin Airlift and piloted loaded B-52s during the Cold War, retired full Colonel) so I grew up understanding the military approach. Dad sure taught me the value of good Sergeants (our Petty Officers) to an Officer’s success. My Coast Guard time solidified me on an approach of letting the good ones alone to do their job and keep me out of trouble. I well understood the O.C.S. teaching that Petty Officers could let you “run on the rocks” literally or figuratively if you failed to treat them with respect. And I sure served with many good ones that helped me along. Civilian world they call this “delegating.” Many civilian delegators take time to learn you can not delegate the final responsibility. Whether conning the ship through dangerous ice, running a large wildlife refuge or being the teacher with several paraprofessional aides assisting, the approach is the same. These days nobody is forced to join the military. Therefore it is a person’s choice. She or he should avail themselves of the excellent opportunities (and benefits and retirement) that military service offers. I have told more than one young person who doesn’t know where they are going in life that military service is a great option. Especially true if you are young and have only a high school education. I go on to say that if you want the satisfaction of saving lives and otherwise helping people, the U.S. Coast Guard is the best outfit. If I get the chance I tell them that the Guard is highly selective so if you can make it in you will most likely will serve with a large majority of good, hard working people. If the youngster is interested I point out that course work, including higher education is available right at you unit in the Coast Guard. (And I sometimes mention the Navy.) Promotions are based on good work on deck as well as on correspondence courses. 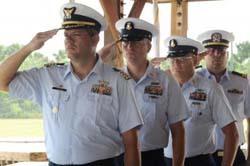 Enlisted promotions can happen based on your hard work in the Coast Guard in my experience. And I sure hope it still is that way! It has caused me to think about things I have not in many decades. I have grown to be proud of the U.S. Coast Guard and to dwell on the three out of four great C.O.s I had and the other great people and experiences.